Interestingly, this porcelain crown was done on the same patient as the last gold onlay that I posted. So why a porcelain crown on this tooth instead of gold? Simple — this one is more visible in his smile, and he wasn’t interested in having “bling” in his smile. 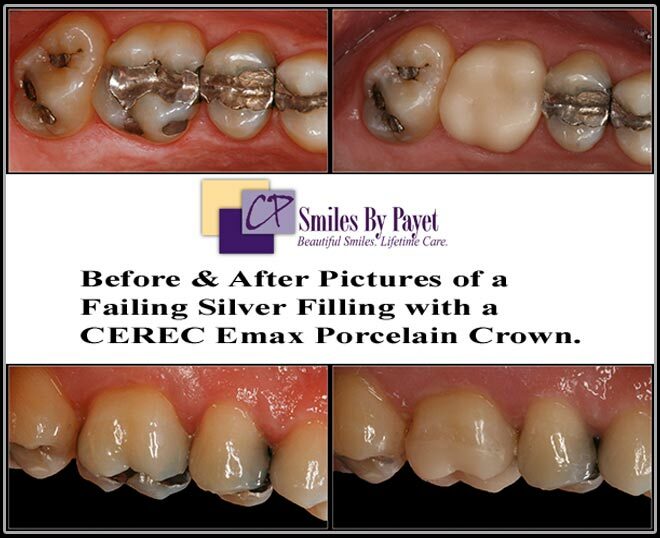 LOL Given that strength and durability of his porcelain crown is also very important, as is obvious by his choice of gold for his second molar on the other side, we did use what is currently the strongest porcelain crown available today, whether made by a lab or with our CEREC, and it is called Emax. This ceramic is incredibly strong, far superior to the old Porcelain-Fused-to-Gold (PFM) crowns that have been used for decades. And, of course, we did it in a single appointment.